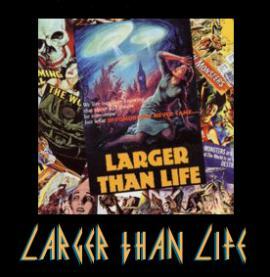 here's Larger Than Life's discography! "Along the Lines of Breaking Down" brand new EP!! This is an awesome cd!!! You can buy it at mp3.com, or at interpunk.com (for only $7.25!). All of the songs rock, and my favorites are Last Summer and If Tomorrow Never Came. This EP also has rockin' songs (of course) and really shows off Larger Than Life's talent. My favorite song off of this EP is Responsible. "If Tommorrow Never Came" is a beautiful album. It has awesome songs that will stay in your head all day, is meaningful, and just plain rocks!!!!!!!!! !